Accompanied by your personal guide in a four-wheel drive, over 9 days you will see a rich variety of landscapes: the Tichka pass, the 1,000 kasbahs, palm groves, gorges, fields of roses, strange rock formations and the immense Sahara. After breakfast, departure for Ouarzazate via the Tichka pass at 2,260 metres altitude across the High Atlas mountains. 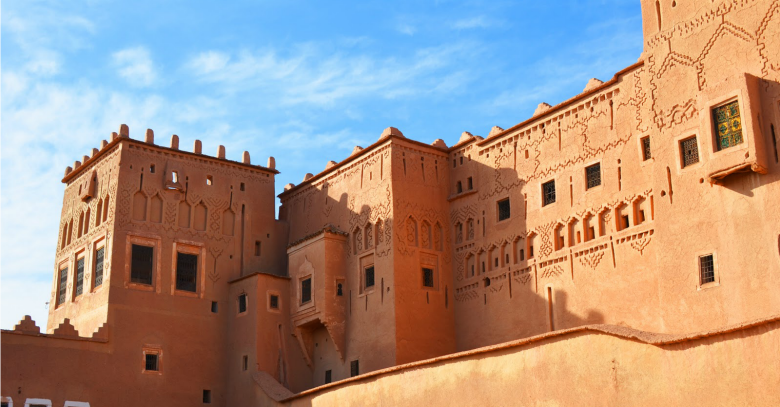 Superb views all along the route, visit to typical Berber villages, Anmiter valley and the magnificant kasbahs of Ait Ben Haddou, Taourite and the big cinema studios. Dinner and night at hotel. After breakfast, departure for Kalâa M’gouna, via the route of the thousand kasbahs, through the Valley of Roses towards the Dadès Gorges to experience a taste of life in the Atlas mountains Dinner and night at hotel or the inn at the bottom of the gorge. 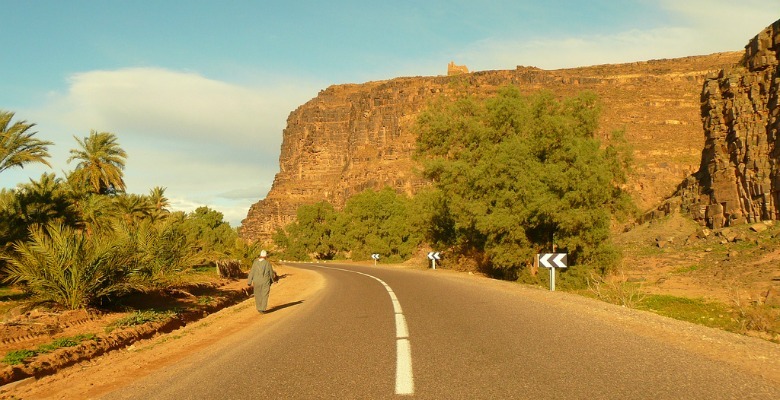 Breakfast and leave for Erfoud , via the town of Tinghir to visit the Oasis and the Toudra gorges, palm groves and the traditional water sources. In Erfoud, dinner and night at hotel. 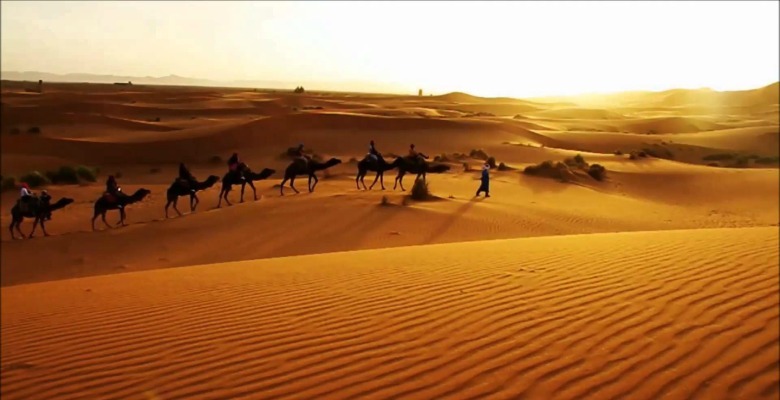 Breakfast and then leave to visit Rissani, ancient Alaouite town with its isolated oases and fossil quarries, continuing on to the stunningly beautiful landscapes of the great sand dunes of Merzouga. Dinner and night in a Berber tent in the desert. 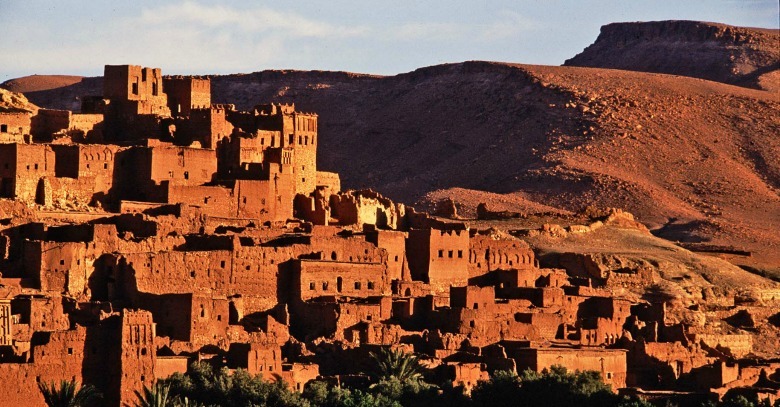 The day is spent exploring the desert, visiting Berber and nomad villages. 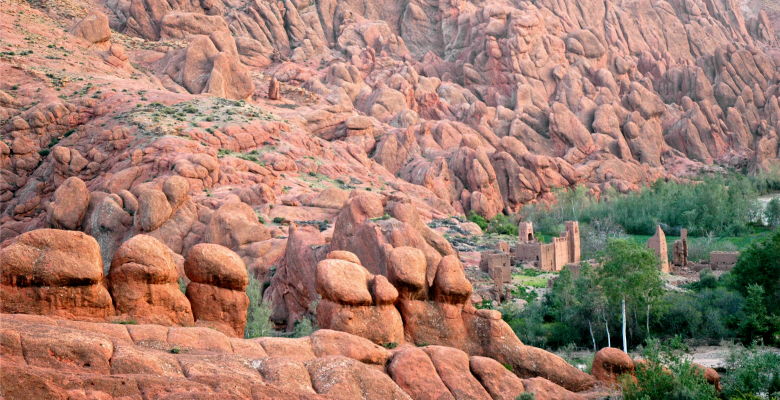 The route from Merzouga to Zagora crosses surprising, lunar-like landscapes. After breakfast, leave for visits to palm groves and ksours (fortified villages) along the Drâa valley. Lunch along the route. On arrival in Marrakesh in the evening, dinner and night at the Riad.